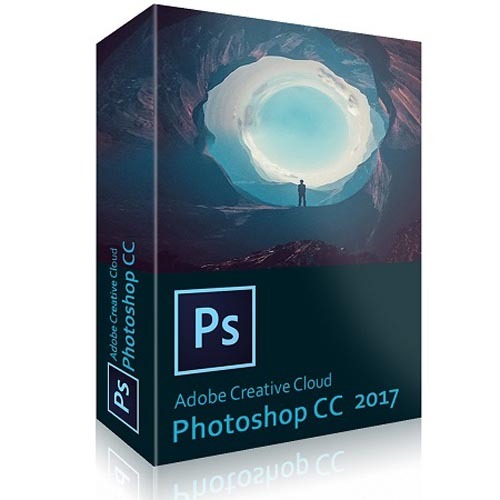 Our Adobe Certified Training includes the entire Creative Cloud collection of creative apps for desktop and Mobile, including Adobe Photoshop, InDesign and Illustrator as well as the industry-leading video production toolset in Premiere and After Effects. Our adobe classes are delivered and managed by our local affiliate Amananet Inc. Please note that you have the option to attend this class at our Herndon, VA location or attend remotely (live online). When you register, you will have the option to check if you prefer to attend remotely. This class provides you with the concepts and skills to properly prepare Adobe PDF documents and fillable PDF forms for access by users with disabilities such as blindness, low vision, and mobility impairment. In this course, you will create, modify, and test PDF documents for accessibility purposes. We also recommend this course for those planning to obtain the Adobe Certified Expert status. This course will help students to become familiar with, and come into compliance with, the Federal Government’s ADA Section 508 accessibility regulations. It will cover application features that are designed to help meet those requirements. What is accessibility in publications? What are the Section 508 requirements? Taught by J.P Terry of SmartDoc Technologies Migrating from LiveCycle to AEM Forms is NOT “easier than you think”. And it’s NOT something you should be pressured to do before you have time to think. This is a big deal! You need to understand all the issues before you plan your strategy for success. Transitioning is valuable, important, and doable, but it’s not easy. We should know, we have witnessed 5 years of transformation failures by organizations who were told that “It’s easier than you think”. Invest 1 day with us and you will save years of frustration and wasted money. We will present the technical and business realities in this easy-to-understand and compelling workshop. Migrating from LiveCycle to AEM Forms is a 1-day, instructor-led workshop where you will learn the technology and tools in Adobe’s Form product lines. Did you know that LiveCycle and AEM Forms have completely different technical architectures, application models, form types, and workflow tools? The foundations are completely different and so are the tools that Adobe built on top of the foundations. Business Leaders, Technical Architects, and evaluators who need to master the key technical and business issues of Adobe LiveCycle and AEM Forms and formulate a strategy for success. 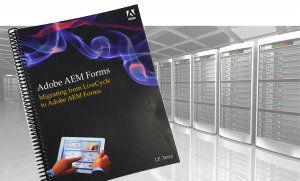 Understand the technical architecture of AEM Forms on JEE (the new name for LiveCycle). Understand the technical architecture of AEM Forms on OSGi. Understand the application model of AEM Forms on JEE. Understand the application model of AEM Forms on OSGi. List Adobe’s form and document types. Develop a strategy for transforming your form workflows from Workbench to OSGi. Develop a strategy for integrating adaptive and responsive forms into your business. Understand the new skill sets your team needs to succeed. Understand how AEM Forms integrates with your company’s web servers. Understand how AEM Forms integrates with databases, LDAPs, and Adobe Sign. Develop a strategy for deploying and capitalizing on Adobe’s form tools over the next 5 years. Designers, Developers, Form Authors, Business Professionals, and Technical Support Staff who need to create and/or manage AEM adaptive and responsive forms. Please note that you have the option to attend this class at our Herndon, VA location or attend remotely (live online). When you register, you will have the option to check if you prefer to attend remotely. Learn to use this comprehensive software tool to efficiently produce motion graphics and visual effects for film, video, multimedia, and the Web. 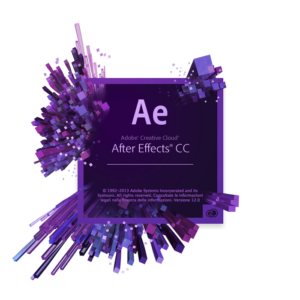 This is the entry-level of our After Effects classes, and this two-day course will get you started using Adobe After Effects powerful tools for creating a wide range of visual and audio effects. Our classes are led by experienced motion graphics professionals who have backgrounds with broadcast, film, and online media production. Adobe Captivate is one of the most popular eLearning development tools in the world. As your class begins, you’ll get comfortable with the Captivate interface by exploring an existing Captivate project. You’ll learn to use the Filmstrip, explore the inspectors, and poke around other areas of the Captivate interface. After exploring a bit, it’s time to roll-up your sleeves and get to work. You’ll create a soft skills eLearning lesson from scratch (soft skills eLearning includes, but is not limited to, onboarding, conflict resolution, and compliance training). You’ll work with themes, add slides, work with placeholders to add text and images. You’ll even add interactive buttons that will allow the learner to control the pace of the lesson. Once you’re comfortable creating projects, tap into Captivate’s powerful recording features and create both software demonstrations and interactive software simulations. And you’ll leverage Captivate’s multi-mode recording features to record three lessons at the same time (one demo and two simulations). You’ll learn to add, modify, and control the timing of objects such as text captions, images, and highlight boxes. You’ll learn to record, import and edit audio, and how to further enhance the learner experience by adding interactivity via click boxes, buttons, and text entry boxes. Engage your learner by adding rollover captions, rollover images, rollover slidelets, zoom areas, quizzes, and knowledge checks to a project. And you’ll leverage and enrich existing Microsoft PowerPoint presentations by importing them into Captivate. Finally, you’ll learn how to distribute a finished Captivate project to the widest possible audience by publishing SWF, HTML5, and PDFs so that your content can be consumed by learners on virtually any device including desktop computers, laptops, tablets, and smart phones. Adding images to your project will enhance the lesson. These lessons will teach you how to add images, manipulate them and manage them. Rollovers and Zoom Areas enhance the eLearning experience by encouraging interactivity (rollovers) and grabbing the learners attention (zoom areas). Learn them both during these lessons. In a word, Flash Video is cool! Learn how to add Flash Video to your eLearning lessons. There are lessons for adding Animation and special effects too. Captivate sports some robust quizzing tools. You'll learn how to setup, create and edit question slides. No project is finished until it's published so that it can be consumed by your learners. Learn the best publishing format to use for the widest audience (including SWF and the new HTML5 output). Learn how to add a TOC to your lessons and the ideal settings for publishing. If you're looking for continued Adobe Captivate training, this advanced class will teach you to improve your screen recording skills via projects templates and pre-editing your text captions.You'll enhance your production skills by learning about object styles, master slides, themes, project templates. Create, insert, and edit variables that will enrich the learner experience, and you will learn how to create branching scenarios that will enable learners to plot their own learning path. You'll ensure your eLearning and mLearning output can be accessed by people with disabilities by adding such 508-compliant features as accessibility text and closed captions. Engage your learners at the highest level by adding widgets, interactions, drag and drop features, control object swapping, and create and edit advanced actions. Learn about SCORM, AICC, SCOs, Manifests, the SCORM Cloud, and how to upload published lessons into an LMS. Note: The lessons outlined above comprise topics typically covered in a class of this skill level. The instructor may, at the instructor's discretion, alter the lesson plan to meet the needs of the class participants. Please note that you have the option to attend this class at our Herndon, VA location or attend remotely (live online). When you register, you will have the option to check if you prefer to attend remotely. Creative professionals and web designers/developers who seek the fastest, easiest, most comprehensive way to learn Adobe Dreamweaver will find this two day class to be the perfect fit. In this class, we cover the basics and beyond, providing activities to help you become more productive with the program. You will learn how to create webpages for the modern web; use and customize web frameworks to build responsive designs for a wide variety of desktop computers and mobile devices with a minimum of hand coding; incorporate graphics, text, animation, and video; build rich interactive applications; add links to text and images; add interactive elements to your sites, such as HTML5-compatible video and animation; work with HTML5 and CSS3 code and structures; and publish a finished site to the web. As with all of our classes, our Adobe FrameMaker classes are hands-on and project-driven. In this 2-day class on the advanced features of unstructured FrameMaker, you will be working on several separate books, along with chapters from a book and a flyer. For more details on the specific features covered, see the list under Class Topics. Because students will work along with the instructor to complete a series of projects, we recommend using two displays in our online classes (this could be two monitors, two computers or a computer and a tablet), so that the student can keep one eye on the instructor’s screen as they work. A copy of the coursebook and the data files will be sent to you prior to the start of the class. The coursebook for this class is only available as an eBook. As with all of our classes, our Adobe FrameMaker classes are hands-on and project-driven. In this 2-day class on the unstructured features of FrameMaker, your projects will include creating one complete chapter—from scratch—in what will eventually be part of a multi-chapter book as well as editing a booklet. For more details on the specific features covered, see the list under Class Topics. Because students will work along with the instructor to complete a series of projects, we recommend using two displays in our online classes (this could be two monitors, two computers or a computer and a tablet), so that the student can keep one eye on the instructor’s screen as they work. A copy of the coursebook and the data files will be sent to you prior to the start of the class. The coursebook for this class is only available as an eBook. Learn how create a document from scratch and how to define paragraph formats with the Paragraph Designer. You have the option to attend this class at our Herndon, Virginia location or attend remotely (live online). When you register, you will have the option to check if you prefer to attend remotely. Learn hot to create a new document with multiple artboards, and then create and edit a series of shapes using the shape tools. Work with the drawing modes; the shaper tool; Live Shapes and Image Trace. Learn editing and combining shapes and paths.Discover how to edit and combine the shapes you learned to draw in the previous lesson using the Scissors, Knife, Eraser tool, Shape Builder and Width tools; along with the Path commands. In this Advanced Adobe InDesign Training class, students will learn advanced tips, tricks, and techniques for publishing with InDesign in a 2-day, hands-on, instructor-led course. 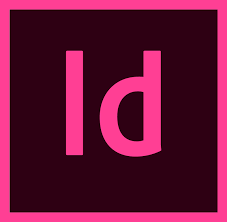 This Advanced Adobe InDesign training course will expand on the concepts in Introduction course, and will cover best practices and additional features. Learn how to insert special characters, create a heading that straddles columns, and create and format a drop cap. Adjust spacing between letters, words, and lines; set tabs, and create ruling lines that are attached to paragraphs. Create paragraph, character, object, table, and cell styles, and see how they all work together. Gain a better understanding of how graphics from Adobe Photoshop and Adobe Illustrator are integrated in InDesign; learn how the links to the images are maintained, updated, and managed. Learn the best practices for editing images using Photoshop and Illustrator after they have been placed in InDesign. Learn how to create, convert, and place tables into InDesign, then learn how to format the table and table cells both locally and more efficiently by using table styles and cell styles. Understand how transparency works inside InDesign as it is applied to text, graphics, and native Illustrator files. Learn how to control effects on various objects and text, and how to copy and delete effects. Learn how to Preflight your file to ensure there are no errors, Package it so that all of the parts are delivered correctly to the printer, and the best practices for creating a PDF that is Press-Ready. Please note that you have the option to attend this Adobe InDesign training at our Herndon, Virginia location or attend remotely (live online). When you register, you will have the option to check if you prefer to attend remotely. An overview to the workspace. Set up a document from scratch using multiple master pages, pages of varying sizes, and adding page numbers. Understand layers, create and format text and graphic frames, including adding text wrap, changing the shape of frames, and aligning frames. Import text from Microsoft Word and flow it into InDesign across threaded text frames. Use Find/Change, Spell Check, and Story Editor. Create and apply colors, gradients, spot colors, and tints to text and objects. Changing the Field Names in Hierarchy or the Binding tab. Modifying the “change” and “preSign” event Scripts for each Signature field. Changing the Patterns for the Display types. Please note that you have the option to attend this Adobe Photoshop Advanced level training at our Herndon, VA location or attend remotely (live online). When you register, you will have the option to choose if you prefer to attend remotely. 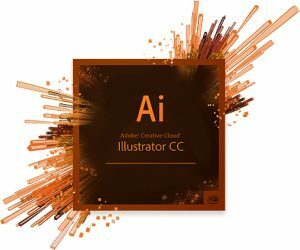 This advanced class builds on your existing knowledge of Photoshop and expands your list of creative techniques. While this course is strongly slanted toward design-related details and functions, it also explores the real-world realities that apply to the everyday use of Photoshop. Color correction and color adjustment are stressed in various projects as well as issues of proper output for printing. We also recommend this course for those planning to obtain the Adobe Certified Expert status. We highly recommend working attending our first Photoshop class before coming to the course. You’ll get the most out of this class if you know some of the basics such as using layers, masking, and adjustments. For more experienced Photoshop users, previous attendance is not required. Create and refine a mask. Format type with paragraph styles, create a clipping mask, put type on a path, and use vertical type. Bézier Pen tool to draw paths which can be converted to selections or used as clipping paths when the image is imported into InDesign. Import, create, and work with Smart Objects for non-destructive editing. Create a montage of images with advanced compositing techniques. Use actions to automate repeated steps. Edit video and add a soundtrack. Paint an image with the mixer brush, create custom brushes, and mix colors. Please note that you have the option to attend this Photoshop class at our Virginia location (Herndon, VA) or attend remotely (live online). When you register, you will have the option to check if you prefer to attend remotely. In this introduction level Photoshop class we take the mystery out of this world standard graphics tool. You will understand what this program is about and learn how to use it in just 2-days. Our certified instructors will teach you the things that you need to know to create beautiful designs and work with photos like a pro. And more importantly, you will learn to love Photoshop after this class. Please note that you have the option to attend this class at our Herndon, Virginia location or attend remotely (live online). When you register, you will have the option to check if you prefer to attend remotely. This is the introductory level of our Adobe Premiere training. This course teaches you the essentials of digital video editing with Adobe Premiere Pro in two days of intensive hands-on training. You learn how to use the interface and editing tools for producing broadcast-quality movies used for video, multimedia, and the Web. 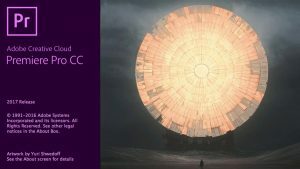 In this advanced Adobe Premiere Pro training course you’ll learn the skills and techniques required to take your creative work to its fullest potential for producing broadcast-quality movies used for video, multimedia, and the Web. What is RoboHelp? And what can you do with it? According to Adobe, “RoboHelp is an easy-to-use authoring and publishing solution.” Adobe also says that RoboHelp will allow you to “deliver content to the iPad and other tablets, smartphones, and desktops using output formats such as multi-screen HTML5, WebHelp, CHM, Adobe AIR Help, PDF, eBook, and native mobile apps.” Everything Adobe says about RoboHelp is true, and you’ll see that for yourself as you work and learn RoboHelp via the lessons presented in this book. 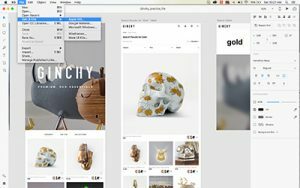 Adobe Xperience Design (XD) is the Adobe's User Experience UX development software tool to create designs and prototypes for all sorts of web and mobile devices. In this training, we show you how to use the main features of this great product.